Donald Edward Gerike , son of Johannes and Erna (Harke) Gerike was born Sept. 29, 1927 in Augusta, WI. 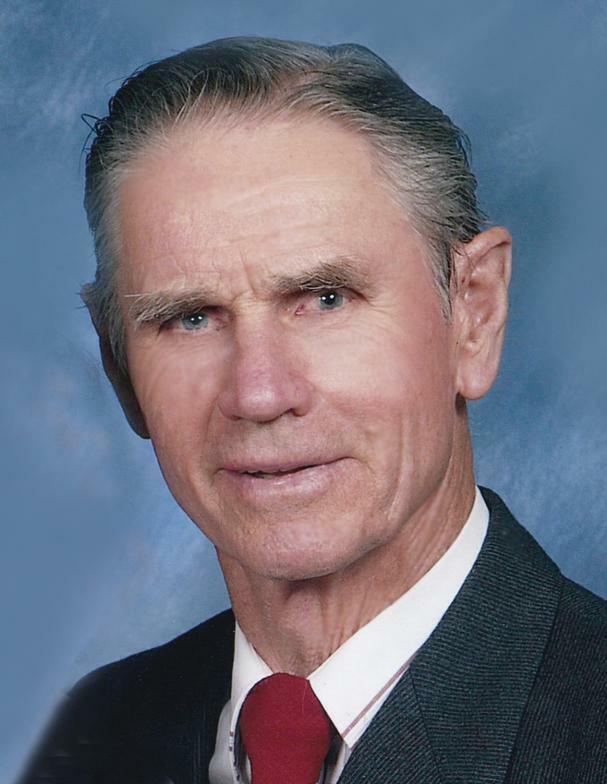 He was a life long resident of Augusta and member of Grace Lutheran Church, where he was baptized on Oct. 18, 1927 and confirmed on May 25, 1941, and graduated from Augusta High School. Don was united in marriage to Dorothy J. McAdam on April 3, 1949 at Grace Lutheran Church in Augusta. To this union they adopted 3 children, Dan in 1955, Deanna in 1958 and David in 1960. The couple farmed just south of Augusta in Bridge Creek Township and moved into the city of Augusta in 1983. Don continued to farm after the move and fully retired from farming in the 1990’s. In addition to farming Don and Wayne Markham owned and operated Augusta Grain Service for several years drying corn for area farmers. Don was an extremely active member of Grace Lutheran Church, having served in many church offices, on the building committee, in the church choir, and generally helping the congregation where ever needed. made several fishing trips to Canada, they visited Alaska, as well as many of the other 48 states. Don and Dorothy attended many dances and especially loved the barn dances and square dancing. Play cards was also one of his favorite past times with family and friends. In later years to keep busy, through Eau Claire County he drove people to appointments with Triniteam and provided home care to others through the Home Instead program. Don will be dearly missed by so many that knew and loved him, especially his children, Daniel (Nancy) Gerike of Glendive, MT; Deanna (life partner, Steve Hintzman) of Menomonie, David (Tammy) Gerike of Augusta; 8 grandchildren, 17 great grandchildren; brother Gerhardt (Beverly) Gerike of Augusta; brother-in-law Merlin Moore of Minnesota; sister-in-law, Arlene McAdam of Eau Claire; several nieces and nephews. Don was preceded in death by his parents, Johannes and Erna; and loving wife Dorothy on March 16, 2011. A visitation will be held from 4 to 8 p.m. on Monday, Feb. 11, 2019 at the Anderson Funeral Home in Augusta, and Tuesday from 10 to 11 a.m. at Grace Lutheran Church in Augusta. Funeral services will be held Tuesday at 11:00 a.m. at the church with Pastor Jonathan Wessel officiating. Burial will be in the West Lawn Cemetery in Augusta. The family would like to thank the team at St. Croix Hospice and the Augusta Health and Rehabilitation for the special care and support given to Don at this time in his life. Your kindness will never be forgotten.